The sun fills the fine white sands of these beaches with light and joy. Whether they are immense stretches of sand as far as the eye can see, or little coves sheltered by rocks, each beach has its own dazzling and surprising beauty. Some are crowded, with lots of entertainment, while other remain deserted and unexplored, holding secrets waiting to be unveiled. Portugal has many beach travel destinations…… there’s always something for every taste and state of mind, whether it’s to stretch out and relax on the sand, take a walk by the sea, to enjoy a date or to have fun and party the night away. 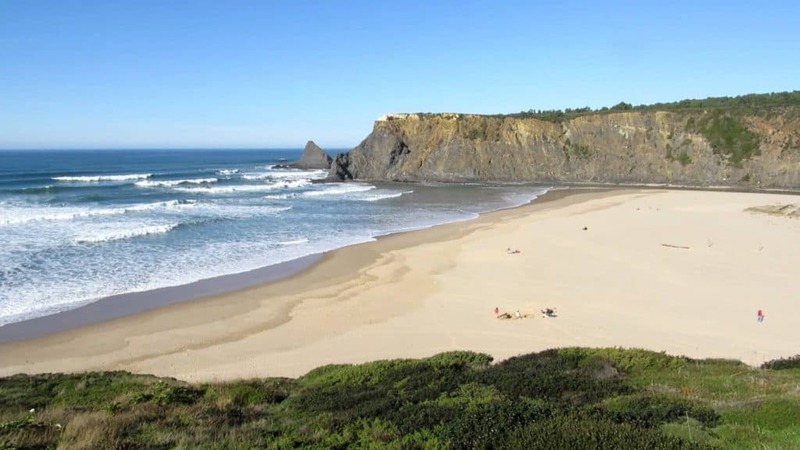 Compared to other beaches in Algarve, Prainha Beach is quite small. Actually, “Prainha” in portuguese means “tiny beach”. However, it still remains popular, especially among the locals, during the weekends and summertime. 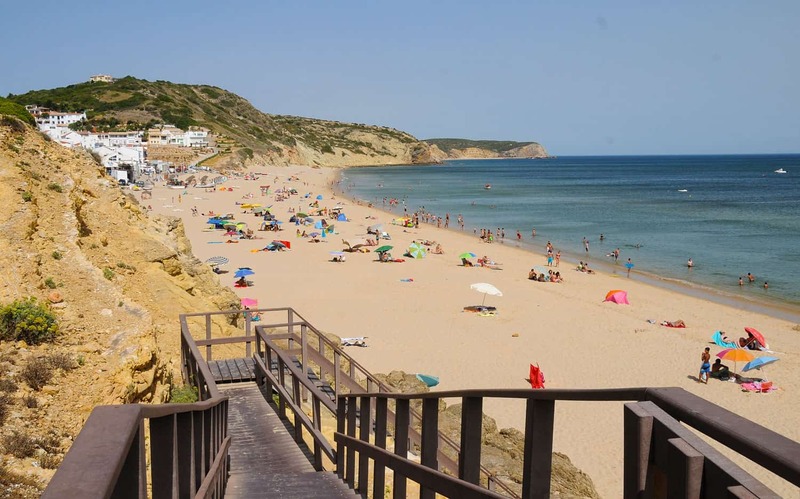 Prainha Beach is in the eastern side of Alvor in Algarve and also close to Praia da Rocha, Portimao and Lagos. The waters of Prainha in Algarve are ideal for swimming, snorkeling, and sailing, also many are engaged in windsurfing and surfing. If you don’t have your gear for these activities, you can hire them from facilities found near the beach. Although few restaurants are within the area, you can stroll back to close by Alvor and eat around that area. 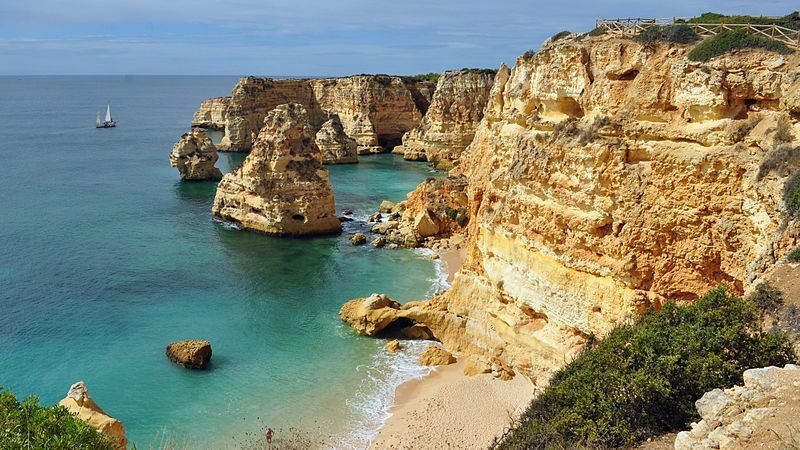 The south coast of the Algarve boasts several beaches with photogenic limestone rock stacks produced by erosion and dissolution. Their orangy-brown colors make them perfect for morning or evening photography, but they also provide a spectacular backdrop for beach side lounging at any time. Marinha is southeast of Lagoa, where the cliffs have been chopped and changed into a series of pinnacles, crevasses and caves. 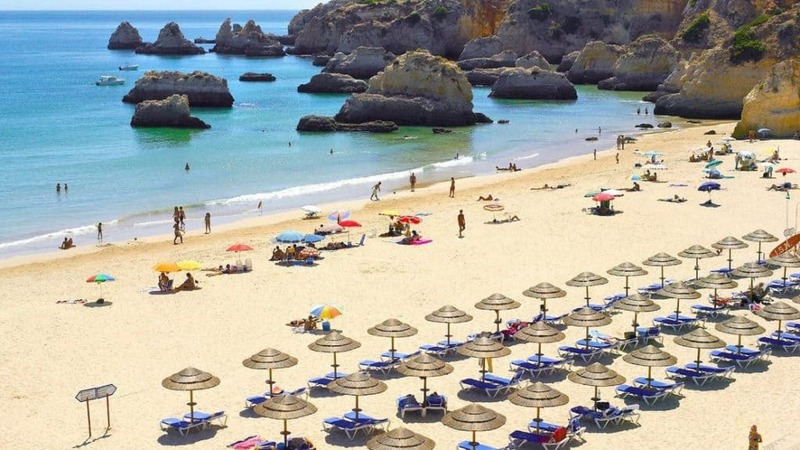 No surprise that it’s the poster girl of Algarve beaches, and regularly ranked among the best beaches in Europe. To get here, try the picturesque walk along the clifftops from Praia Vale Centeanes, near Carvoeiro. Great beach for families and photographers. 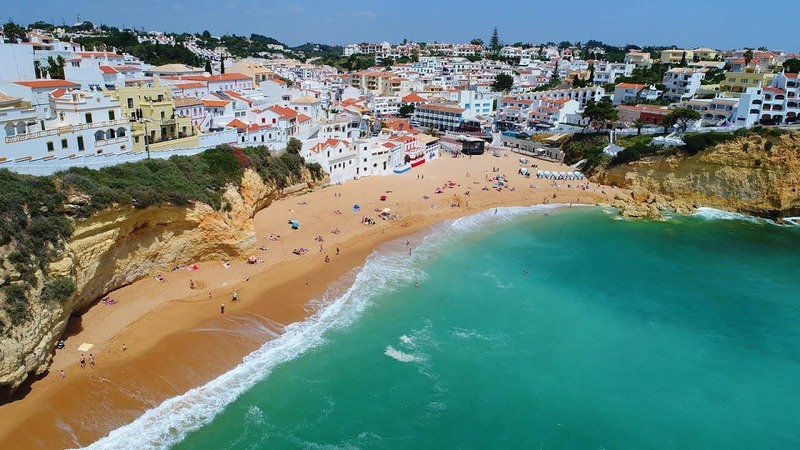 This long straight strip of sand east of Albufeira offers one of the region’s most impressive first glimpses of coast as you descend from the clifftop car park. It’s backed by stunning cliffs in white and several shades of ochre, gouged by weather into intriguing shapes and topped by typical pines. The areas near the car parks get packed in summer, but the strip is long, so it’s easy enough to find plenty of breathing space. It’s a good beach for strolling, as the cliff scape constantly changes colors and shapes, and there’s a surprising range of hardy seaside plants in the cracks and crevices. Crossing into the Algarve from the north, the first beach is one of the region’s best. 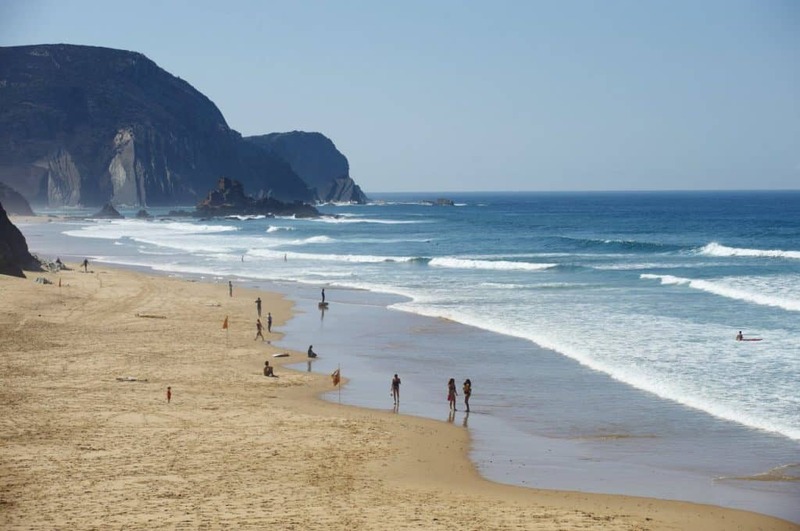 Praia de Odeceixe is a tongue of sand at a river mouth flanked by imposing dark and jagged schist cliffs. It’s a particularly good option for families, as smaller children can paddle on the peaceful river side of the strand while older kids tackle the waves on the ocean side. 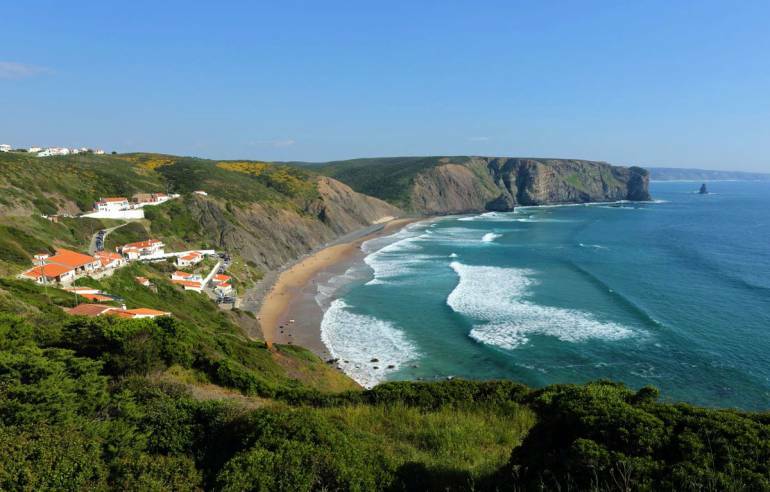 At the beach itself is a surf school and eating options and the pretty village of Odeceixe is a half-hour walk away along a charming country road. The Rota Vicentina, a long-distance walking path that leads right to the southwestern tip of Portugal, passes through here and there are great day walks in the vicinity. In the Algarve’s west, Arrifana is a seductive fingernail-shaped cove embraced by cliffs, southwest of the gateway town of Aljezur. It also sports an offshore pinnacle and a petite traditional fishing harbor. The beach is wildly popular with surfers of all abilities and there are several surf schools in the area. The beach break is reliable, but there’s also a right-hand reef break that can offer some of the Algarve’s best surfing when there’s a big swell. 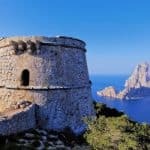 There’s a small, very popular beach side restaurant and clifftop eateries near the ruined fortress up above, which offers breathtaking vistas. Good diving is also possible here. Hundreds of locals and tourists head to Albufeira in Algarve to enjoy the crystal-blue waters and the fine sands. It is also one of the well-maintained beaches in the country, as certified by the Blue Flag organization. Though swimming remains to be an engaging activity in praia de Albufeira Beach, many are into a variety of water sports, including windsurfing, while others are into diving, sailing, and snorkeling. The activities become even more accessible as there are several rental facilities within and near the beaches. There is also a number of restaurants, beach resorts, and bars surrounding the Praia de Albufeira beach. 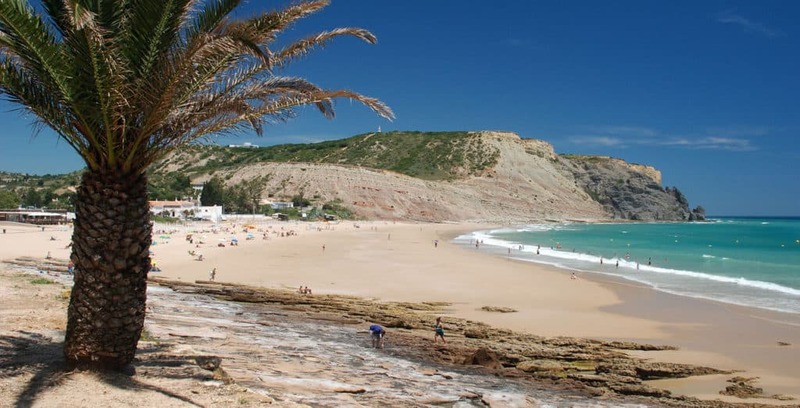 Praia da Luz Beach, also known as the Beach of Light, is located around 6 kilometers from Lagos. The waters of Luz Beach are transparent, though the temperature can greatly vary depending on the weather. There are plenty of lifeguards on the beach, however, remember there are sections that are closed off by ropes and buoys. This is where boats are normally anchored and you are not allowed to swim in there. there are several water activities available at in Luz Algarve’s area. You can swim, sail, snorkel or dive. Sometimes, you will find people with their surfboards, enjoying the surfing breaks. All around Luz Algarve’s area there are many sandstone cliffs and lush greens that add more color into the surroundings. At the eastern side is a famous black rock formation aptly known as “Rocha Negra”. It is actually a large igneous rock formed during an ancient volcanic eruption in “Monchique”. 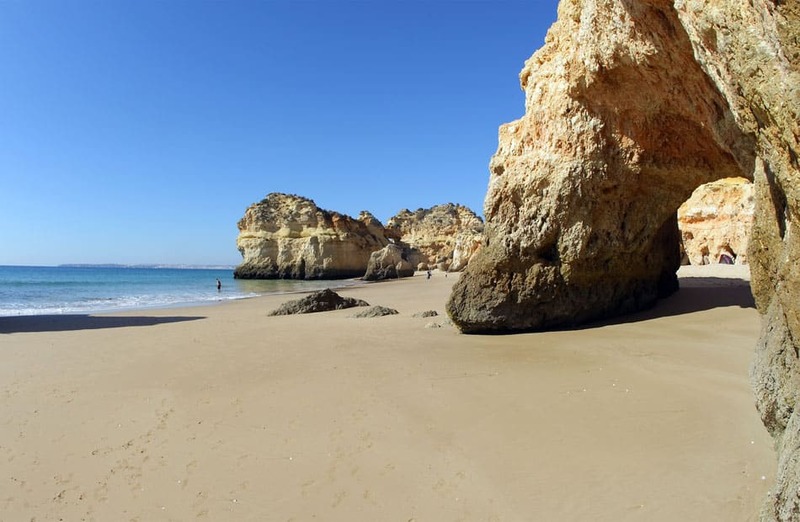 There are a lot of beautiful beaches in Algarve, and one of these is Alvor Beach. It’s a good spot to be in for those who want a more spacious sand-and-sea combo. Praia de Alvor Beach is composed of a vast expanse of fine white sands that form part of a bay. Its waters are attractive to surfers, especially beginners, since the waves are not too tall. There are plenty of restaurants and bars that surround the area and a lot of them are selling seafood, such as fresh fish. They also have al fresco dining for guests who prefer to catch sunup and sunset at the beach. Majority of the guests are engaged in various water sports and activities, such as snorkeling, diving, swimming, and sailing. Some would lounge on the sand while renting their sunbeds and shades from the nearby facilities. Carvoeiro beach offers some of the best swimming and scenery in the area. It stretches out into a wide expanse of sand, surrounded by cliffs and overlooked by beautiful white homes and hotels. With a traditional local market that sells fresh produce and the neighborhood butcher and bakers, this beach has retained the intrinsic character of Portuguese life. Lovely Carvoeiro Beach, in south of Portugal, is friendly for anyone with mobility issues. It is the only beach in the region that can be accessed by foot as well as by wheelchair. This means that even those who are unable to walk to the beach can still enjoy the sand and the water. The water by this beach is beautiful and blue, like it is in many other areas of the Algarve. A visit to Praia do Carvoeiro beach is sure to let the stresses of life slip away, as you immerse yourself in its ultra serene surroundings. Martinhal Beach is located at the eastern part of the town of Sagres in Algarve. It is flat, sandy, and huge an its location makes it well protected from the westerly winds. 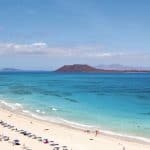 The beach has a blue flag, a testament to the high standard of cleanliness and safety and security in the area, where you can also find several lifeguards, which you can approach for assistance. 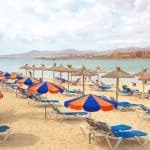 Parking is available, though there are some who prefer to stay in the villas, resorts, and apartment homes found near Martinhal Beach. Some of the common activities at the beach include swimming, sailing, and snorkeling. 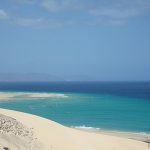 However, thrill-seekers will be happy to find windsurfing, ballooning, and body surfing are also available. Surfing is popular too. In fact, there’s a surfing academy near the beach. If you don’t have any gear, you can rent them from the nearest facilities. Food is abundant, courtesy of the several restaurants, cafes, bars, and pubs around Martinhal’s Algarve area. Most of the restaurants sell fresh seafood, especially fresh fish for which the region is famous. If you are into cooking yourself, there’s a supermarket selling the freshest Portuguese ingredients and treats, such as fig chocolates. You can also head to the fishing port of Sagres to find fresh fish or sea urchins. Burgau beach is one of the prettiest beaches in Algarve, Portugal with toasted golden sands and calm, serene waters. Despite its small size, the beach is very popular during the summer with the tourists and the locals alike. The Burgau beach is protected from strong winds by rocky cliffs that surge out of the ocean on either side, creating a natural barrier. However, since high tides are quite common on the Praia do Burgau beach, it’s best to check the tidal schedule for the day to avoid being soaked, when the intention is to sunbathe and get tanned! In Burgau beach you can just relax around or have a quick chat with the warm locals, which will reward you with friendly smiles. 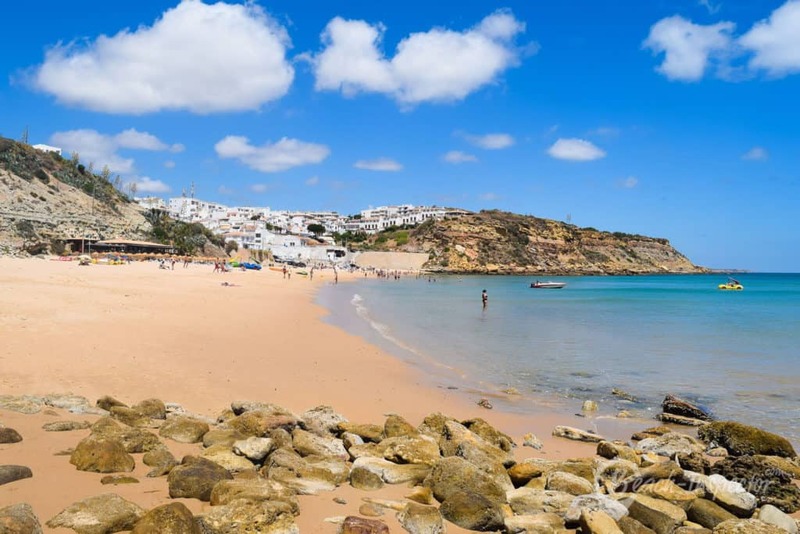 While, the late afternoons are a good time to tour around the many beach bars, cafes, and restaurants that offer sweeping views of the Praia do Burgau beach and surrounding mountains, while building up your appetite for dinner. Home to some of the most beautiful secluded coves and breathtaking outcrops of rock formations one can ever imagine, Praia de Salema Beach in Algarve is a paradise to those who are seeking tranquility and an escape from the crowd. 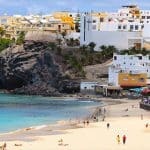 The golden sand beach, colorful fishing boats, the picturesque fishing village and the scenic cliffs are just some of the beautiful images that welcome visitors at Praia de Salema Beach. Salema is a small and out of the beaten path area, known for its beautiful beaches and scenic fishing village. The village is home to a number of fishermen who still cast their nets daily and moor their fishing boats on the shore. Although not boasting in amenities, Salema Beach is an attraction on its own, being one of the places, in Algarve, where the beauty of country life, nature, and serenity converge. Here, visitors can delight in watching the colorful fishing boats returning to the village after a fishing trip, or marvel in the beauty of the cliffs that dominate the Praia de Salema Beach Algarve area. For those who love seafood, Praia de Salema Beach has a promenade of restaurants and cafes on top of the cliff, where visitors can sample the fishermen’s catch of the day. Here, visitors do not only get to taste sumptuous fresh seafood, but also get to enjoy the wonderful view of the sea while dining. Located around 3 kilometers from Vila Real de Santo Antonio, it boasts a beach with the warmest waters in Algarve, because of its nearness to the Mediterranean Sea. Gordo Beach is regarded as one of the best in Algarve. Besides the warm temperature, the waters are very clean and the sand is pristine and white. The beach is flat and large and there’s enough room for all visitors, which visit all year round. If you need some refreshments, bars, pubs, and restaurants are aplenty. You can also find little shops lining up the streets and benches for strollers. Because Monte Gordo’s Algarve area is flat, a lot of visitors do hire bicycles and enjoy a quiet ride toward Vila Real de Santo Antonio to bask in the scenery. 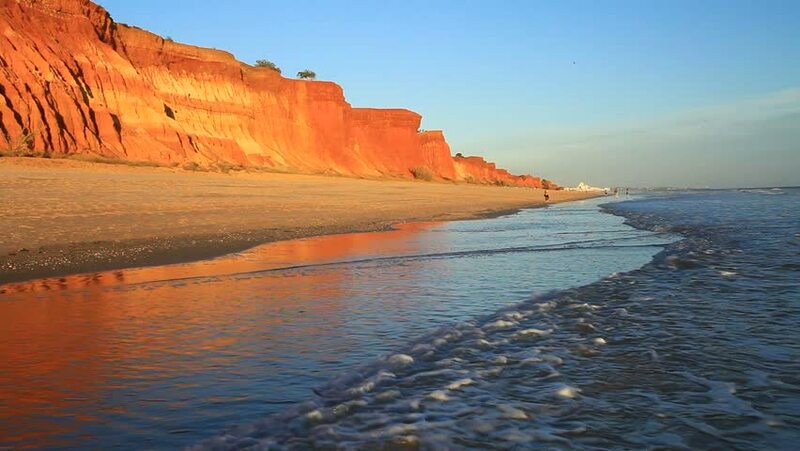 Praia da Rocha Beach is one of the tourist hot spots in Algarve, if not, the entire country. It is roughly fifty minutes away from Faro Airport and close to “Portimao”. The name of the beach is translated as “Rock Beach” because of the presence of large rock formations arising from the sand. These rocks are called Two Brothers or Indented Rocks by the locals. When you don’t want to go sunbathing or hitting the waters, you can stay under these rocks for shade. The sand is expansive, the waters are sweeping and the weather in Praia da Rocha’s Algarve area is pleasant, even during the winter. However, most of the locals and tourists are visiting during the summer, when all the facilities and attractions are fully working. Plenty of water sports are available for your enjoyment, or you may decide to enjoy the boat rides, while children often prefer to spend their time building sandcastles. At Rocha Beach (The Rock Beach) you may also watch a beach soccer competition known as “Mundialito de Futebol de Praia”, which is frequently held here. Several bars and restaurants are found within or near the beach and most of them offer fresh seafood dishes, thanks to the fishermen who sell their goods daily to these dining places. One of the traditional local dishes is the grilled sardines (“sardinhas na brasa”), which visitors shouldn’t miss out. Most restaurants also offer some variation of international cuisine, for those who want to feel closer to home. Night life is very much alive in Praia da Rocha’s Algarve area, especially with the opening of the local casino and an extensive offer of bars that are open through the day until late evening. Wow such beautiful beaches! I didn’t even know Portugal has so many beautiful beaches before this. Marinha Beach looks like something out of a postcard! This is definitely going into my bucket list of one of the beaches to visit at least once in a lifetime. 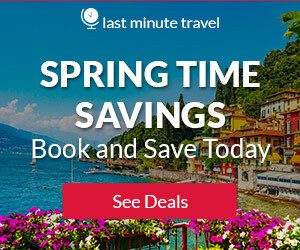 I will save this page and share it with my travel buddies to let them know that we got to start planning for a trip to Portugal. Thanks a lot and I look forward to more sharing of beautiful beaches from you! You are very welcome Kenny! Thank you for the post. I will have to visit Portugal with my family one day. And you mentioned the food. I bet it is awesome… Do you have a favorite dish from Portugal ? Yes, you definitely have to go. I do not have a favorite dish as I have not been there…yet. It’s on my bucket list as one of the top beaches I have to visit. Oh my gosh – I’d definitely need two to three weeks in Portugal to visit a few of these beaches! My grandparents in England used to go to Portugal every year for a vacation and I can now see why! I’m just reading a novel about a Portuguese family and there has been some descriptions of the beaches. Now I have the seen the photos of them! You leave me craving for a vacation to Portugal. Thank you for this very informing article. I really love the picture of Marinha Beach. The way the cliffs come up to the beach sand and the colors in the stone. WOW! Have you actually been to that location? Do you have any other articles related to Portugal? Hi there Todd and thanks for reading. This is my only article on Portugal. I plan on adding more, but trying to cover every area at this point. I have not been to Portugal, only heard of the great beaches in Portugal. That’s a great article on the beaches of Portugal. I’ve been to Spain before and I now live in Australia with what I think are the best beaches in the world (I am biased however :-)). Having grown up in the UK we often hear how good the coastline and beaches are in Portugal and I think it’s often thought of as a place to retire. When I’m next able to go to Europe I need to remember your page and look up the details, it will make for a great itinery. Have you been to all these beaches yourself? I have not been to all these beaches. I have been to a lot of the beaches that I review though, as this is a passion of mine. Thank you for visiting my site! I can honestly say that I have never thought of Portugal as a vacation destination but after seeing this, it’s definitely on the list. We are a family that travels once a year depending on time preparation. This year is Hawaii. I will have to show this to my family. Not only are your photos gorgeous but I was attentive just on reading. Great description of the beaches and I never knew there were so many there! We don’t normally stay at hotels. We have to find something that accommodates a big family. What are the prices like for accommodating space for about 8? And do you know how long the flight is from the U.S? It really depends on where you are flying from. From DFW, it can take as little as 13 hours, but longer with longer layovers. There are lots of choices for accommodations for larger groups or families. I actually did a search and several apartments/cottages came up and the prices were actually pretty reasonable. Starting at about $100 per night and going up from there, with several choices around $175 a night. There were also weekly rentals available, and those give a little bit of a break. Thanks for looking and I am glad you enjoyed reading! Being from the United States I never really knew anything about Portugal. It was really interesting learning about the different beaches there. They all sound very beautiful and it definitely makes me want to visit sometime. Those were also great tips on travel and hotels. Ill have to remember that. Thank you for visiting Kayla. And yes, there are so many beautiful beach vacation places outside the U.S. Definitely worth traveling to! What else can be better than a summer vacation at a beautiful beach resort? Is this something you regularly do or is it just something you’ve been thinking about Marketing in for some while now? You certainly would have me convinced on taking a vacation soon…Lol! Is that the only vacation deal you’re offering or is there more? Nothing could be better Currtis! That is for sure. And, yes I have lots more. 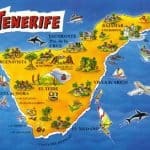 Beach travel destinations is a passion of mine. Thanks for reading!